We loved this series. 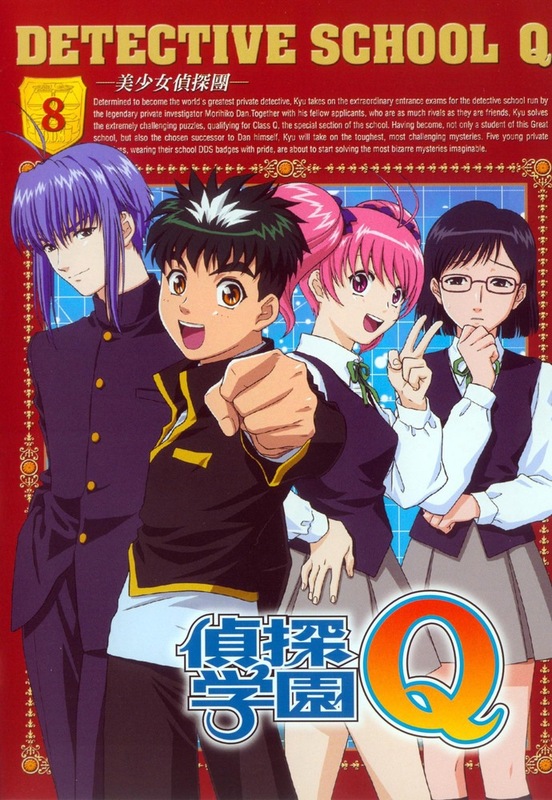 It had it all – a charismatic older police detective, a girl with bubblegum pink hair and a photographic memory, a genial martial arts expert working his way through high school, a super young super rich computer genius, a mysterious purple haired pretty boy, and the irrepressibly bubbly detective boy wonder. An evil organization that produced masters of disguise, rivalry between classes, and being an anime, a few moments of innocent homoeroticism. There was a love triangle between the purple haired Ryuu, giggly Kyu , and short skirted Megu. But rhyming aside, we always wondered if really Ryuu and Kyu were the true soulmates. Poking around in the liquor cabinet one day, Victoria and I came up with a cocktail to celebrate their semi-secret love. 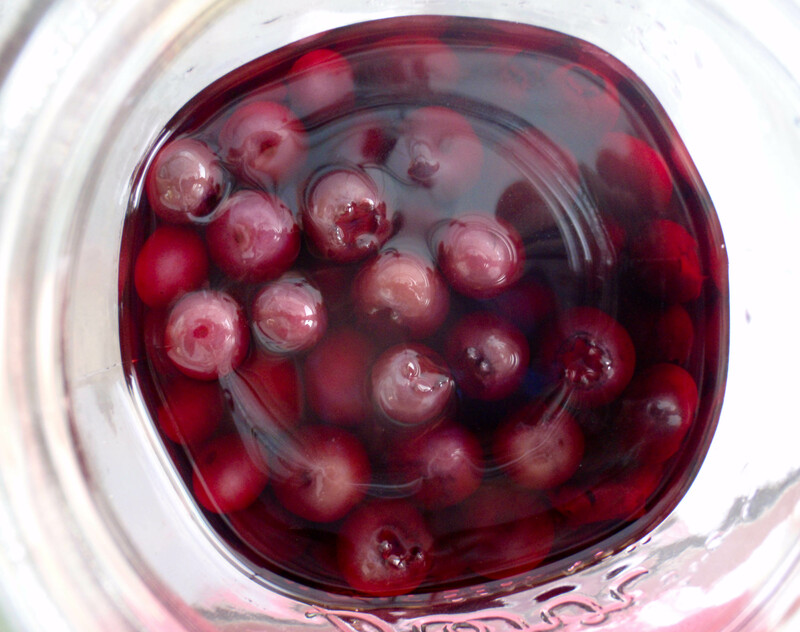 Blueberry vodka for Ryuu’s blue hair. 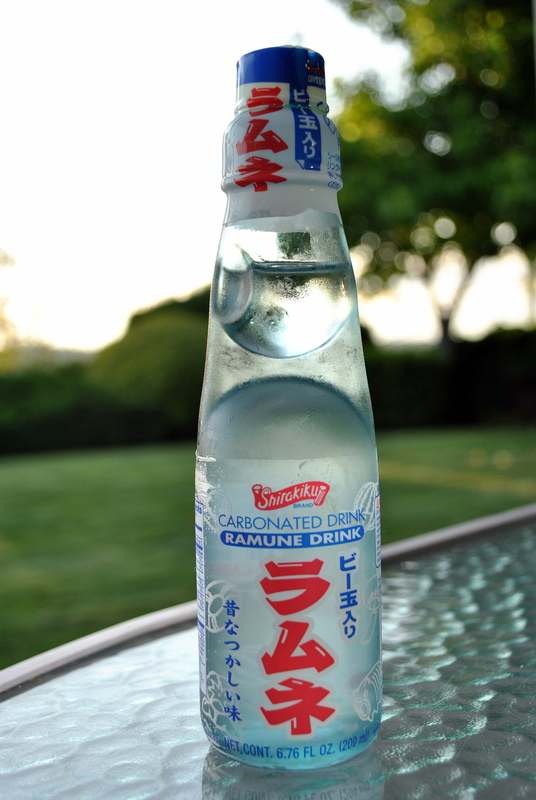 Ramune for Kyu’s bubbly Japanese sweetness. 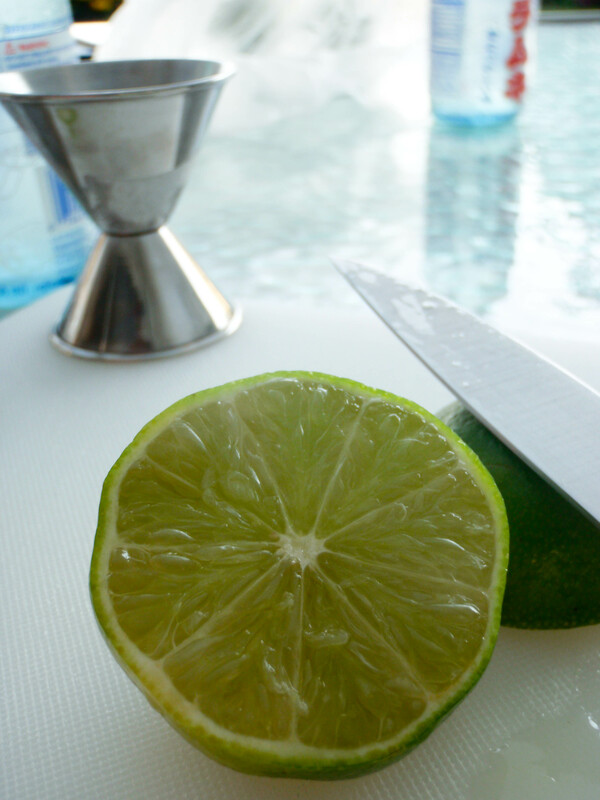 Freshly squeezed lime for the bitterness of society’s rejection. That’s right. Maaaaaaybe it’s to cut the sweetness of the blueberry and ramune, but a cocktail is always better with a story behind it. Victoria pitched in with some photos for this post – they are marked as hers. If you like them, check out her blog! 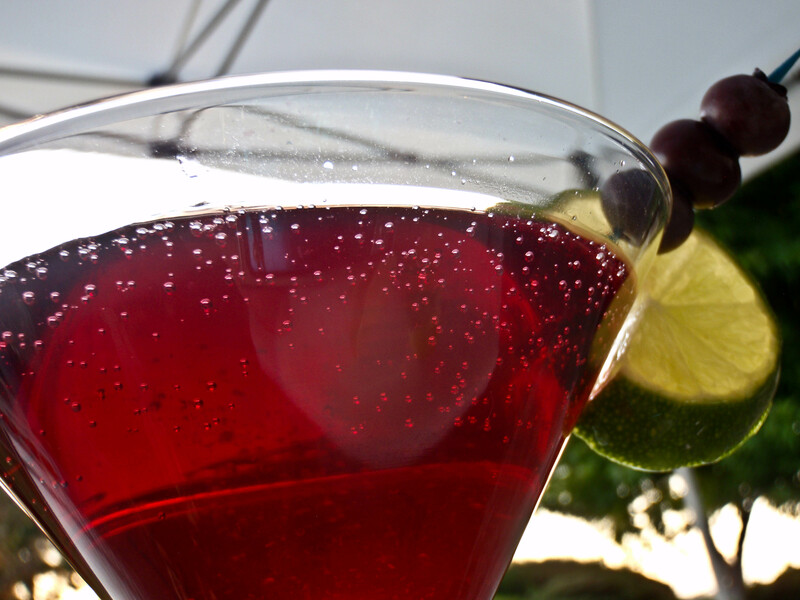 Make sure that all your ingredients are well chilled because you do not want to shake this – carbonation. Feel free to build over ice. 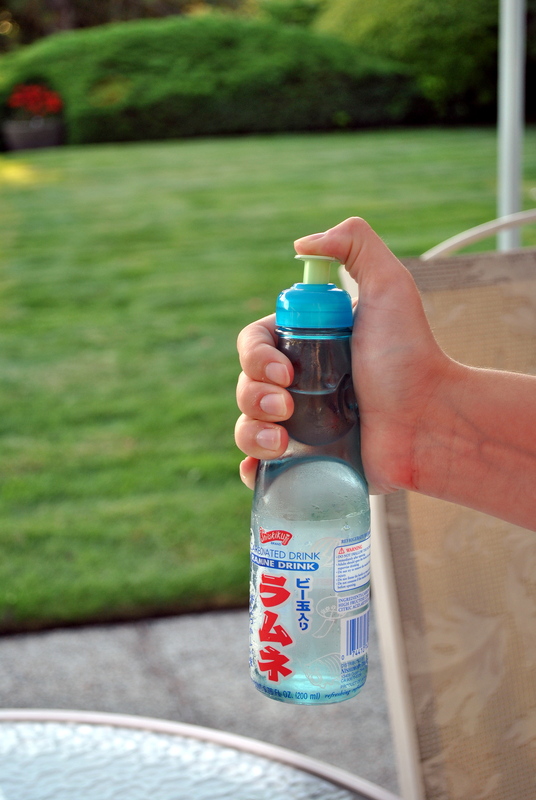 Let’s talk for a minute about ramune. It’ s a Japanese soda that comes in various flavors, melon and lychee being the easiest to find. 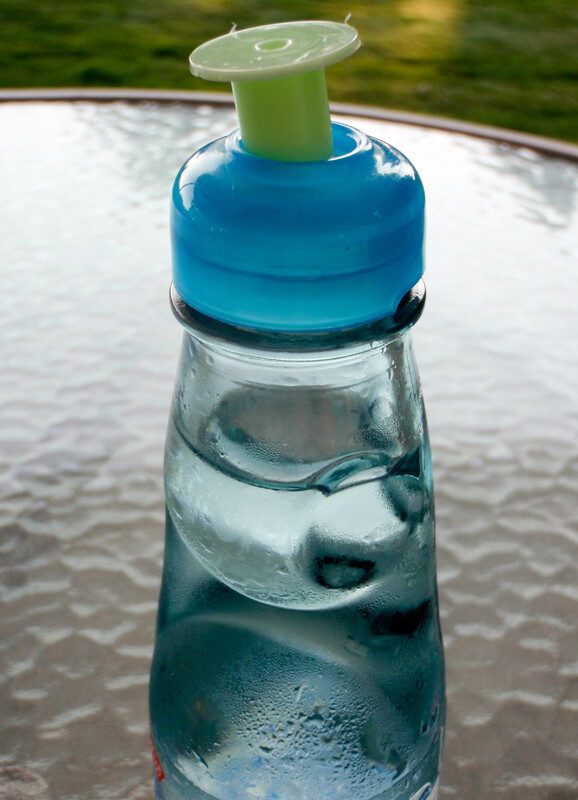 We used the traditional clear ramune. To me it tastes a bit like bubble gum. 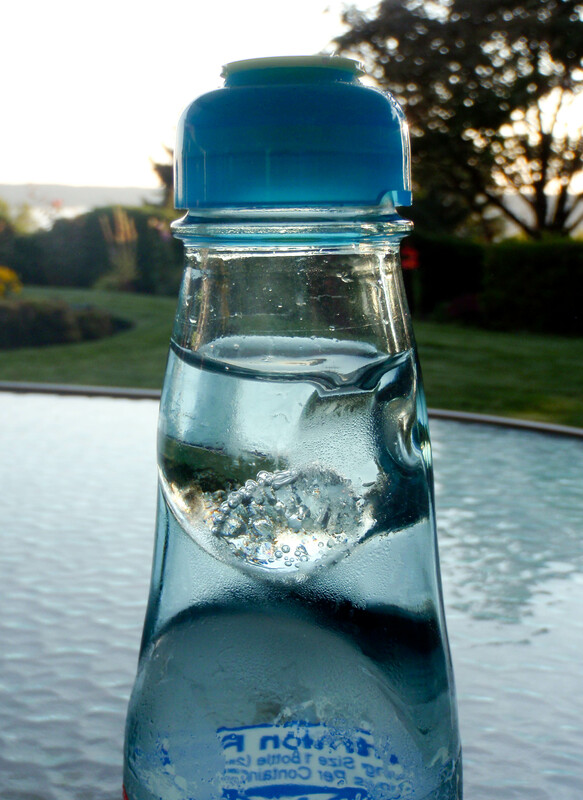 But the best part of ramune is the sheer joy of the design of the bottle and its opening. What? Well upon removing the seal, you can unsnap a little plastic plunger. 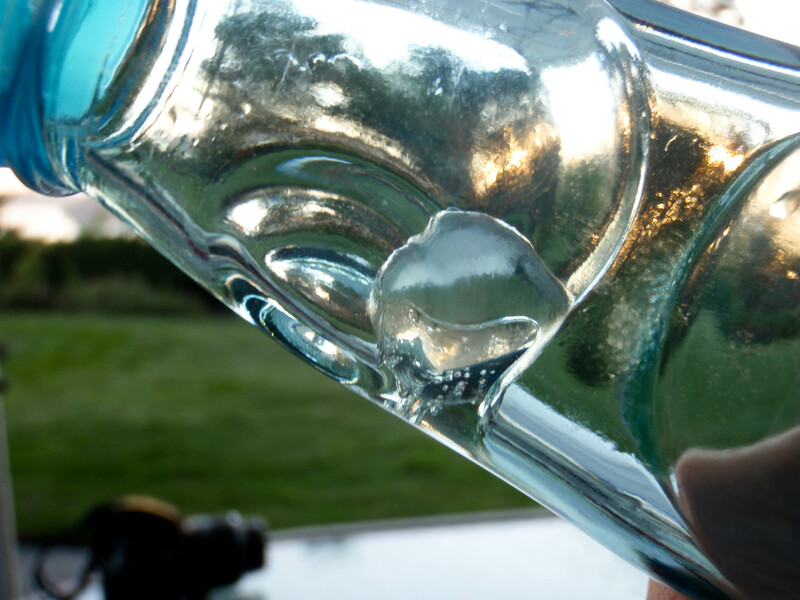 Blocking the mouth of your bottle is a little glass marble. Place your thumb over the plunger, push down. Can you tell from the high quality that this is also a photo courtesy of Victoria and her new DSLR? And the marble pops down into the neck of the bottle. But oh no! We now have a marble interfering with our drinking! It will block the sugary sweetness! Never fear. They are masters of design. You’re just doing it wrong. 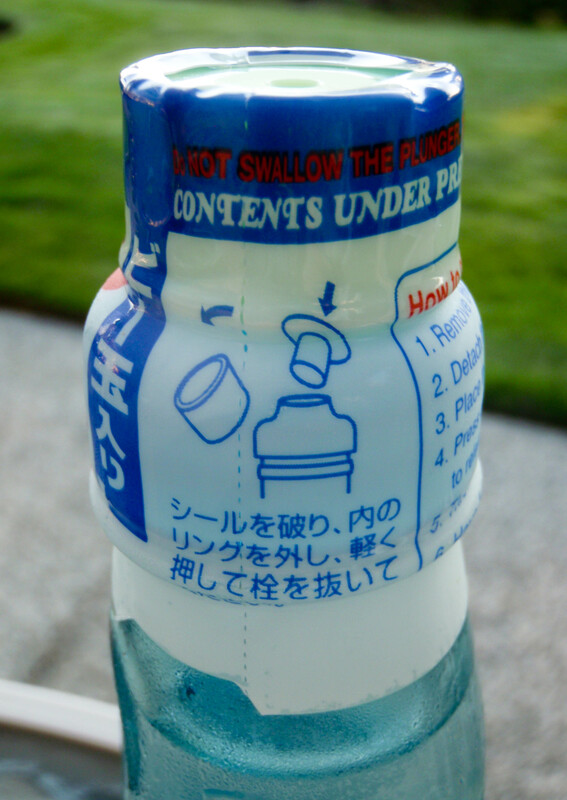 The makers of ramune have built a lip into the neck of the bottle that traps the marble, allowing soda to flow freely. 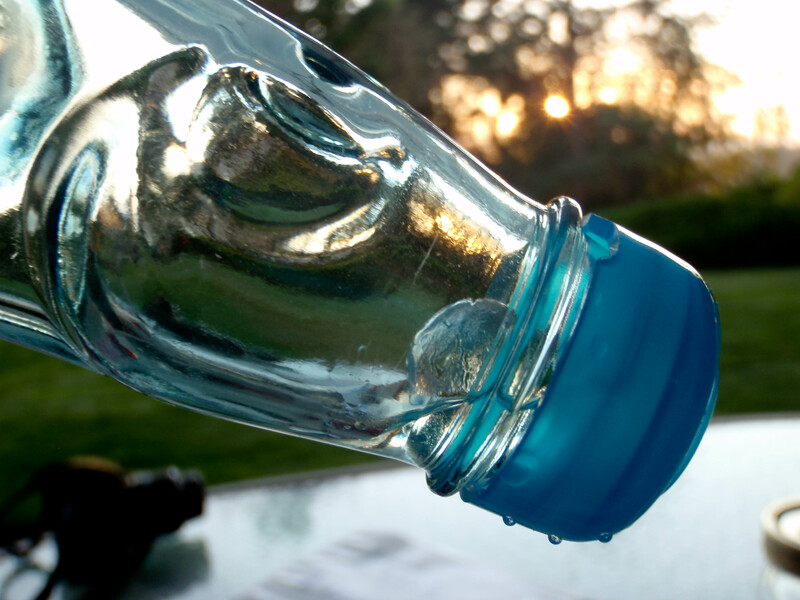 Seriously, I think it’s the best designed bottle ever. So back to the cocktail. 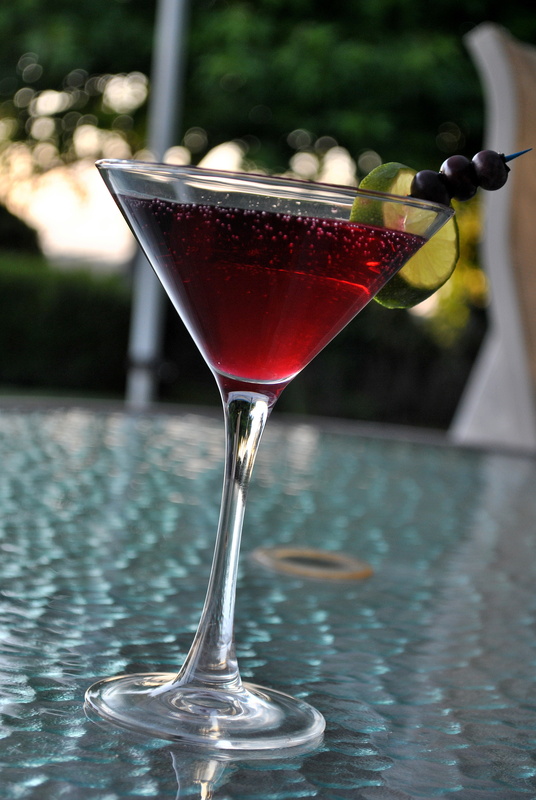 When we first made this cocktail up, we used a commercially flavored blueberry vodka that came in a variety pack of minis. 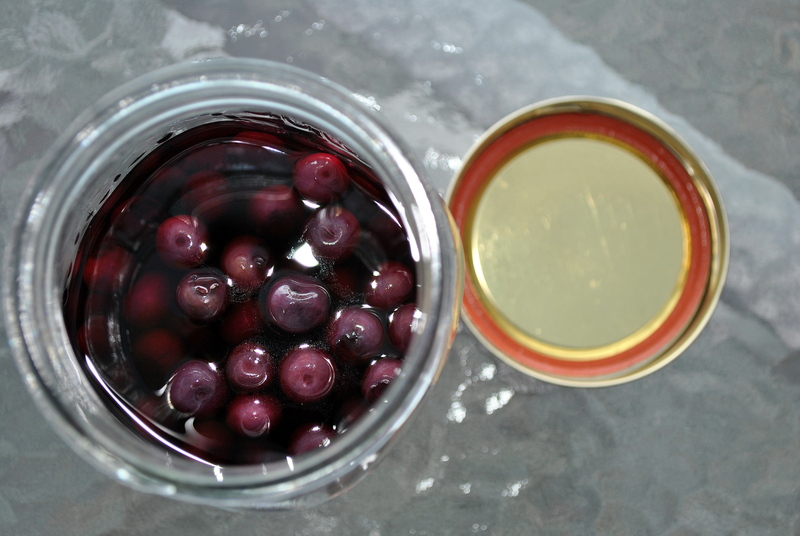 We have grown since then, so we made our own through the simple act of mashing blueberries slightly and pouring high proof vodka to cover them in a sterile, airtight glass container. Wait a few weeks. Do no not eat these blueberries afterwards, they were really potent and actually verging on gross. 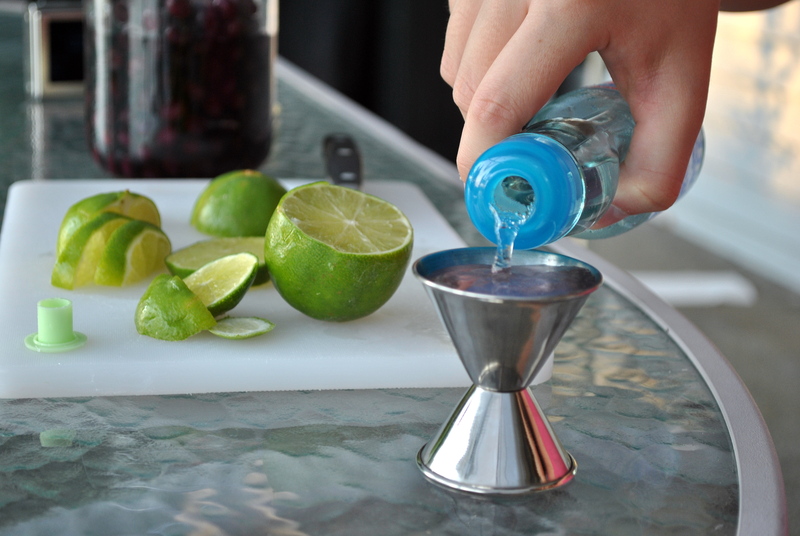 Measure off your vodka. 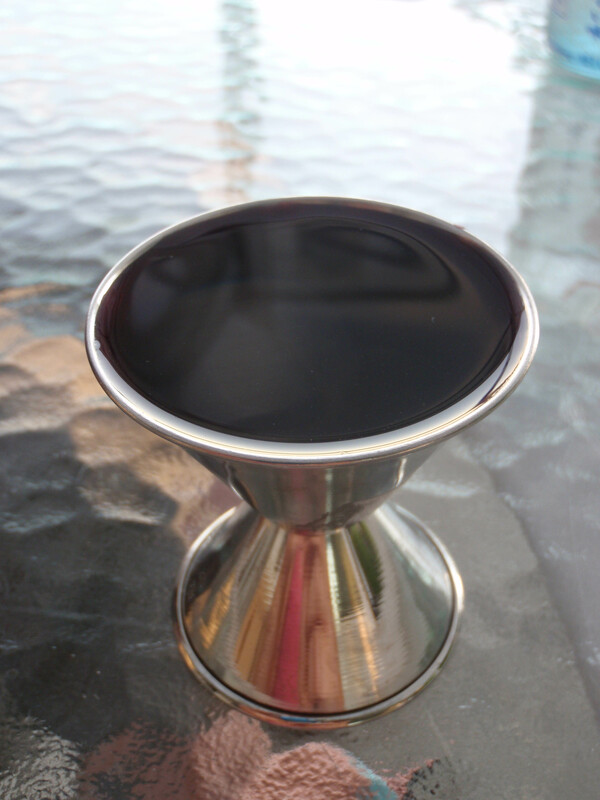 I have the recipe here in a parts system because I have forgotten exactly how much liquid my shot glass holds. Let's see it again from a quality camera - Victoria's. 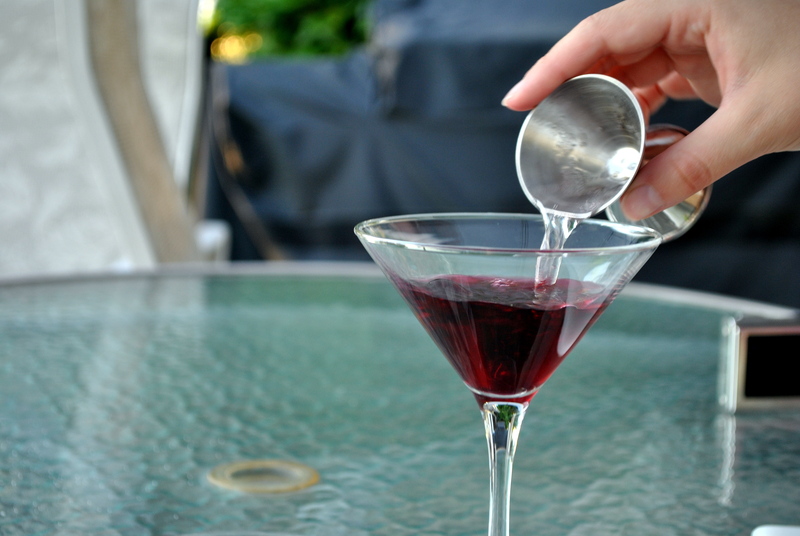 Pour it into the martini glass and measure off your ramune. 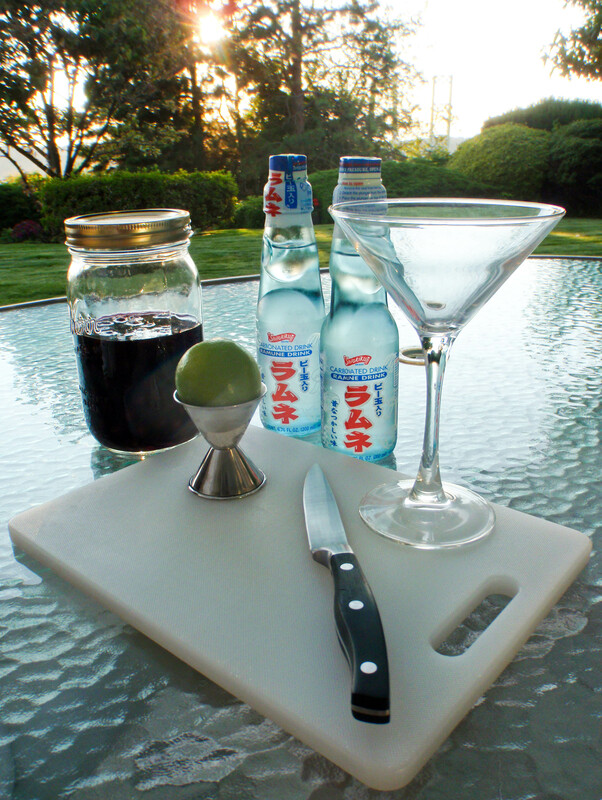 Pour three parts ramune into the martini glass. 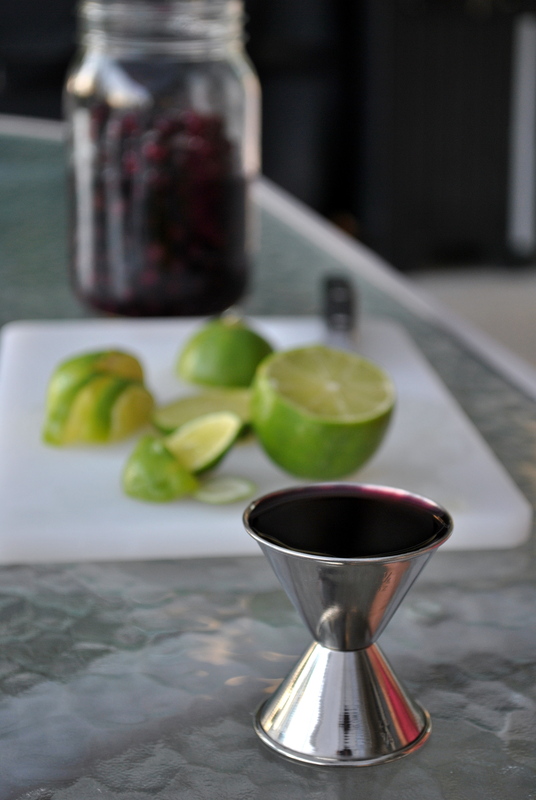 Squeeze the lime until you have 1/2 part lime juice and pour into the cocktail. The acid is badly needed, so don’t skimp. A small side note. 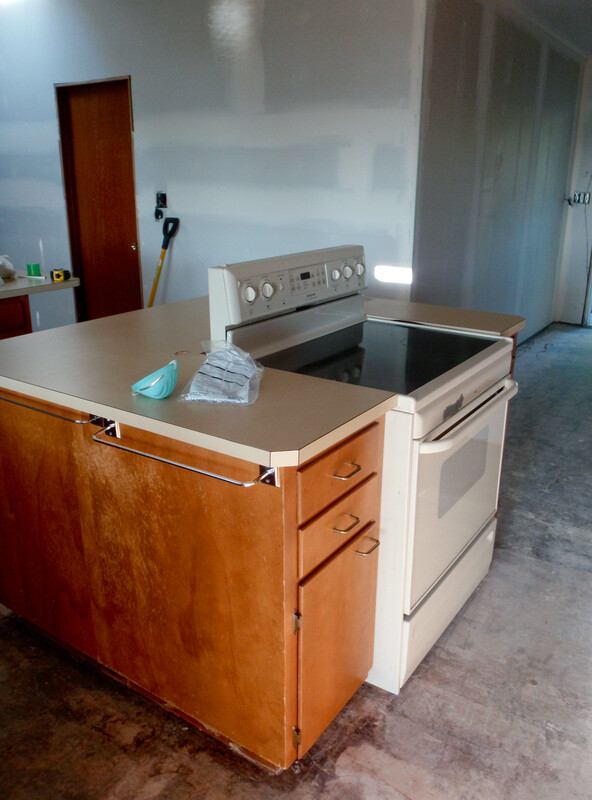 For a few posts, you will not see my kitchen. Why? Because I pretty much don’t have one. At least we had nice weather this day! It looks so inviting…. and I love the backstory!